Alstom and SNCF Réseau are working together to develop and deploy new regulation and control systems for railway traffic. Following a call to tender launched in 2016, SNCF Réseau has selected Alstom, the leader in traffic control systems on high speed lines, to design a new operational traffic management tool. Alstom will provide its Iconis system, which detects and proposes solutions to manage traffic conflicts, while anticipating the impact of disruptions. Iconis combines the reliability of a standardised solution with the flexibility required for all future evolutions. 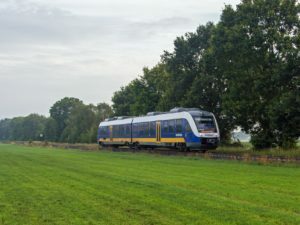 It is already in use on 15,000 kilometres of track worldwide, notably in Italy and Denmark, and is currently being deployed in Sweden, it will be adapted to the French network by Alstom’s site at Saint-Ouen. Initially, the tool will be deployed on the railway lines connecting Paris, Lyon and Marseille, with commissioning planned for 2019. SNCF Réseau has launched an extensive programme to modernise operational traffic management with a view to supervising train circulation both in normal conditions and during disruptions. The aim of the programme is to improve traffic regularity, incident management and the information provided by rail companies. Operational traffic management is currently organised on three levels: the national centre for traffic operations, the 21 regional operational centres and signal boxes at the local level.